Dirty secret: I don’t like Thin Mint cookies. 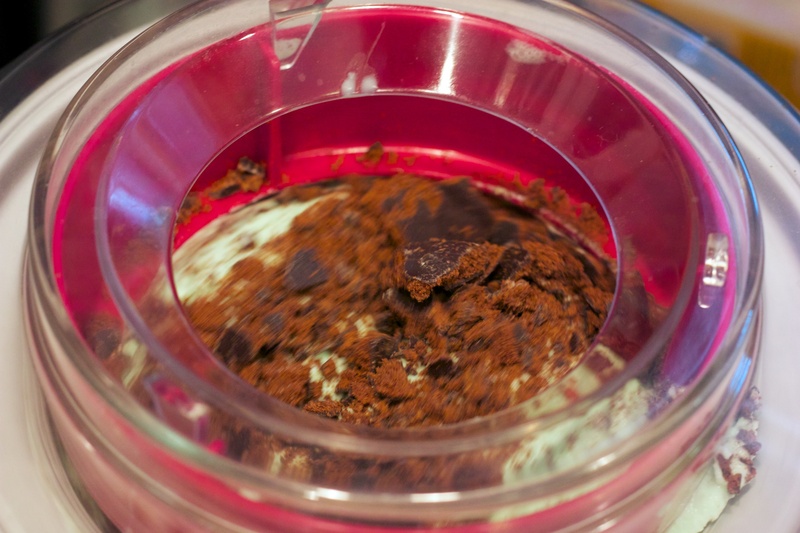 Prior to my leaving for Washington, D.C. (a city which I am either in or have returned from as you read this), The Wife asked if I would make her ice cream with the Thin Mints. Since I was leaving her alone with The Kid, who is coming into her own as an almost 4-year-old tyrant, for four days, I obliged. I used mint extract instead of peppermint oil because I wanted it to taste more like the cookie and less like an Altoid mint. When you taste your base, it will probably have the flavor of sweet toothpaste. That’s okay. The chocolate from the cookies will help dull this some. Mint extract is clear (below). 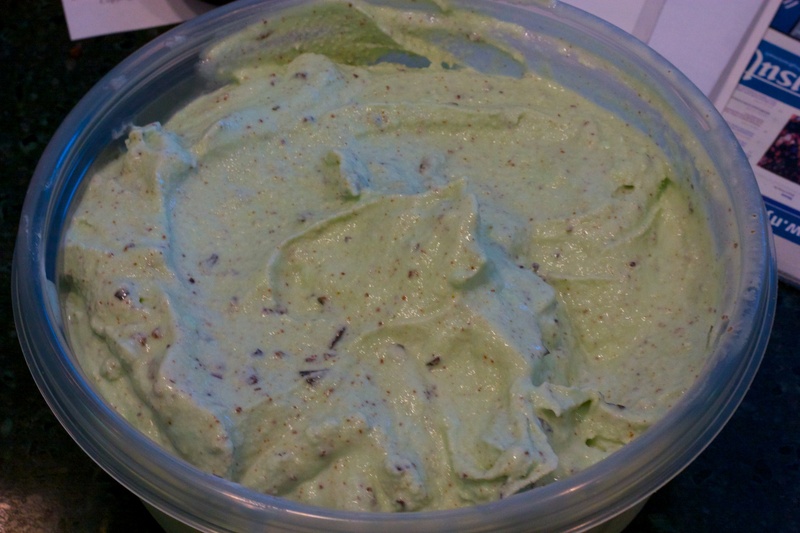 Now, this is not a big deal for some, but psychologically you may not embrace mint-flavored ice cream unless it’s green. Speaking of color, I know you aren’t supposed to use a lot of food coloring, but the vanilla and the cookies add a brownish tinge to the base. Three drops brought it to the color of a muddy grass stain. Five was still pale. Eight seems to work just right. 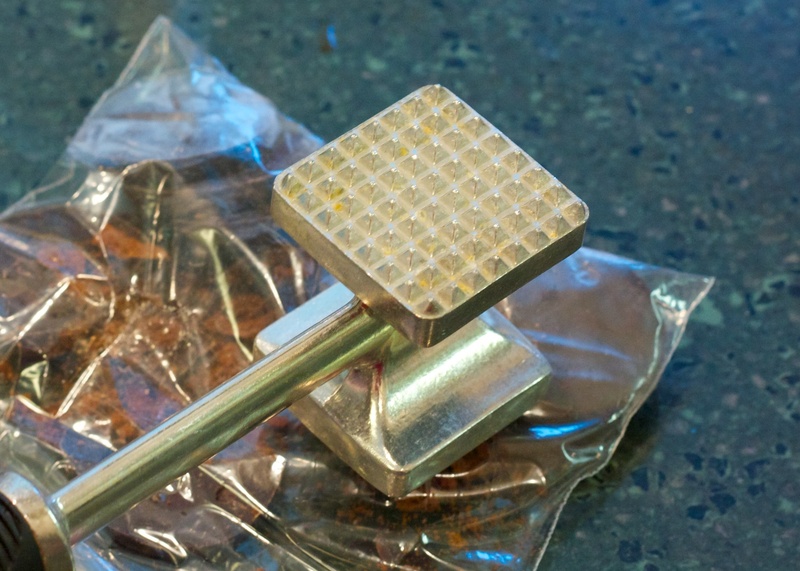 Place the cookies in a small baggie and use the smooth side of a meat hammer, soup ladle or other blunt instrument to smash them into crumbs. Set aside. 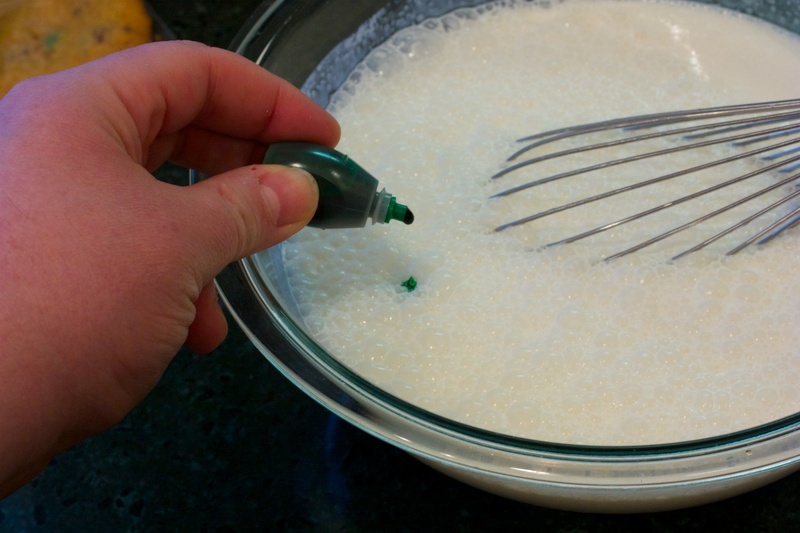 Combine milk, cream, sugar and salt in a large bowl and whisk until the sugar dissolves. Add the extracts and whisk to combine. Add food coloring a few drops at a time, whisking in and adjusting to the color your prefer. Pour your base into the ice cream maker and run for 25 minutes, or as directed by the machine’s manufacturer. 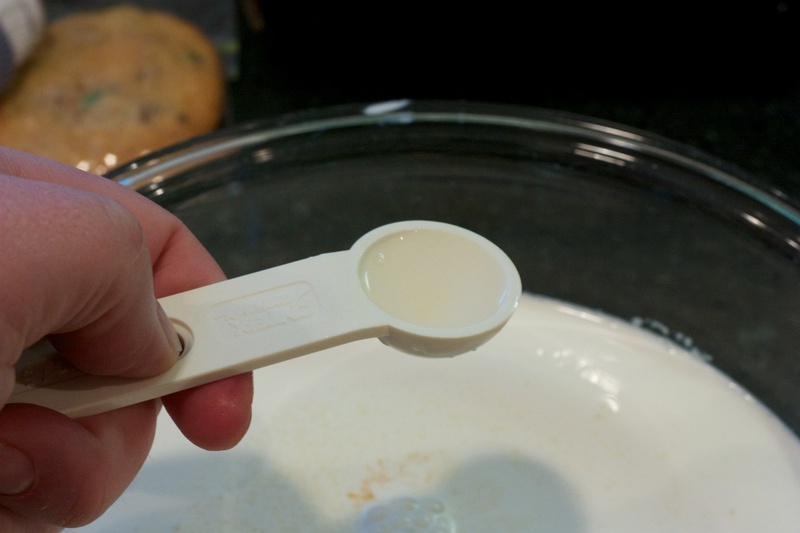 mixture into an ice cream maker, and freeze according to the manufacturer’s instructions. After about 10 minutes into the freezing, add the chocolate chips. With about 10 minutes remaining, add the cookie pieces. Transfer to a freezer-safe container and freeze at least two hours. Thin Mints are OK, but I’d love a Do-Si-Do ice cream.